Jambalaya is a popular dish all over Louisiana. It’s not hard to see why cooks and diners alike love it. It’s a rice-based, one-pot meal that includes spicy sausage, other meats, and seafood—really whatever you happen to have on hand. There are likely as many versions of this rice-based casserole as there are cooks in the state. 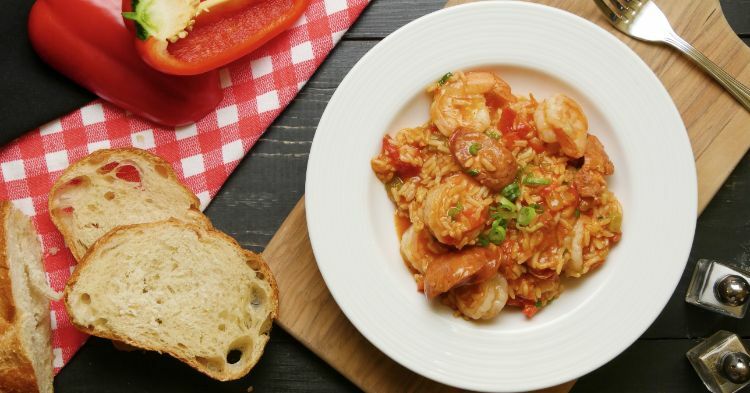 The recipe below is a classic version that includes both smoked andouille sausage and plump shrimp. 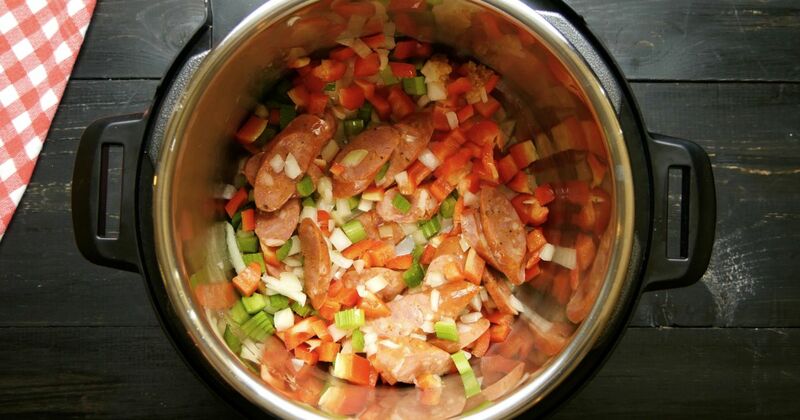 The dish begins with the “holy trinity” of Creole and Cajun cooking—diced onion, celery, and bell pepper. Add sausage, rice, seasonings, and shrimp and you’ve got a spicy, filling meal-in-a-pot. Since this version is cooked in the Instant Pot, it is unbelievably quick and easy to make. When the cooking time is up, quick release the pressure and turn the pot off. Stir in the shrimp, and scallions. Replace the lid, but leave the pot turned off, and let stand for 10 minutes (the residual heat will cook the shrimp).